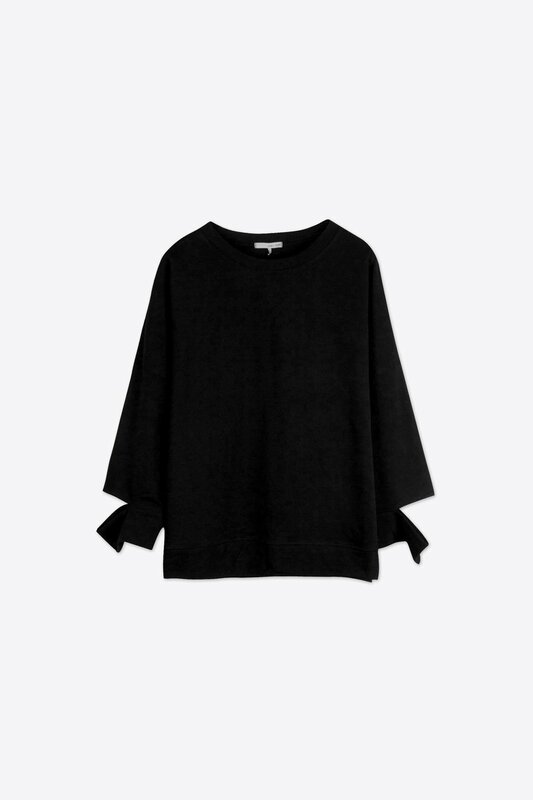 Featuring wide 3/4 sleeves with split seams at the cuffs, this sweater is an edgy take on the classic sweatshirt. 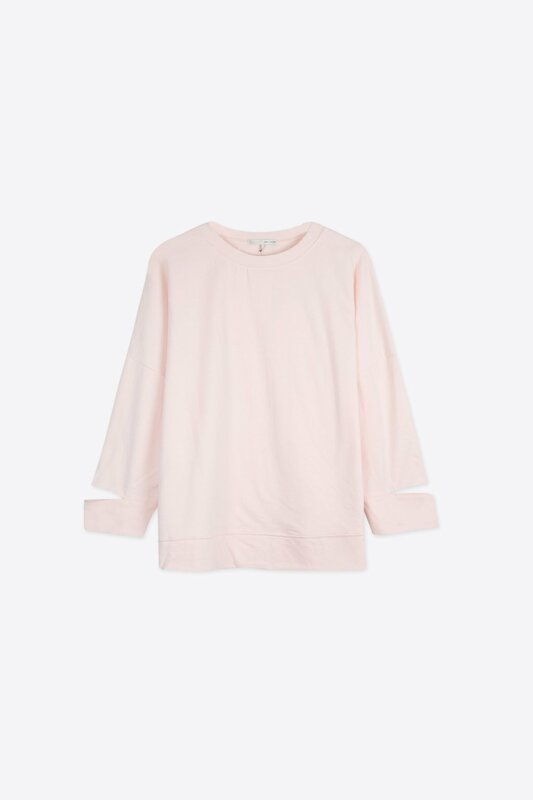 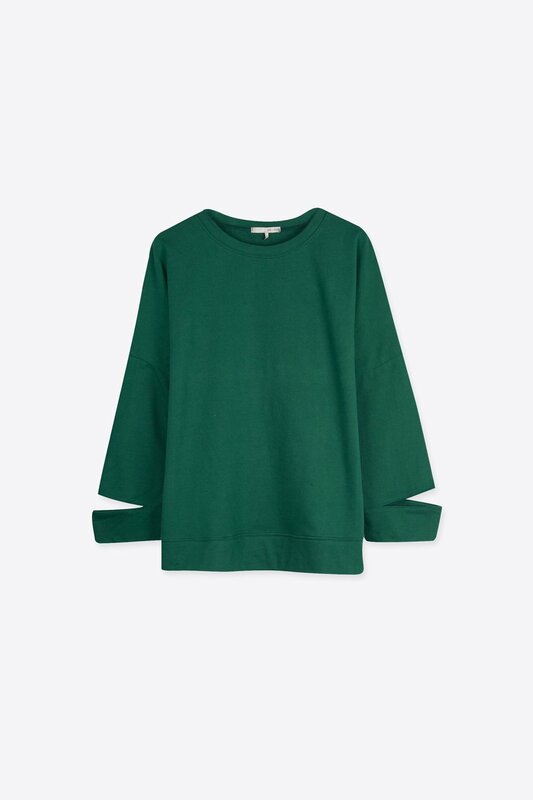 Lightweight, oversized, and made with a pure cotton fabric, this effortlessly cool piece will be a spring wardrobe staple. 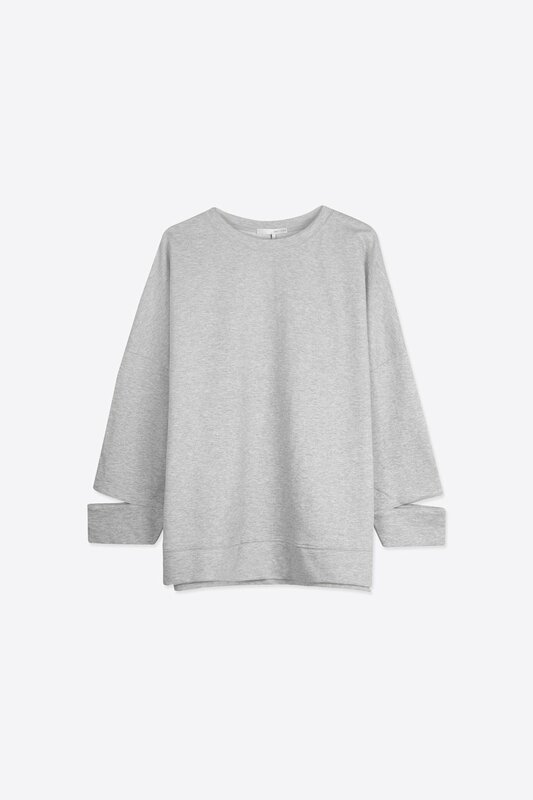 Pair with jeans and sneakers for an everyday look.